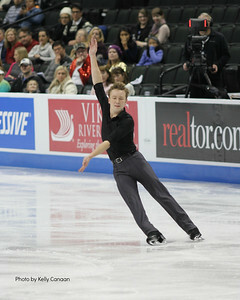 Ross Miner performing his short program at the 2016 US National championships in St. Paul. 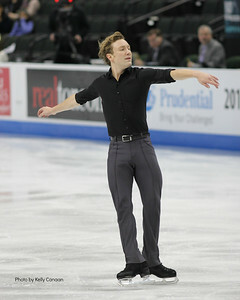 Ross Miner skates a smooth performance to "New York State of Mind" at the 2016 US National championships on January 22, 2016. 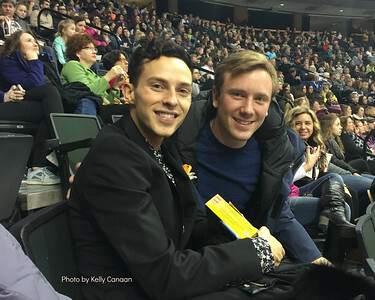 Soon-to-be men's champion Adam Rippon and Ross Miner (5th place) take a break from competing to watch the ladies' free skate on January 23, 2016. 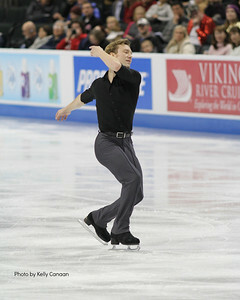 Ross Miner really uses his edges during his short program in St. Paul. Ross Miner smiles because he is having a great short program at the 2016 US National championships in St. Paul, MN. 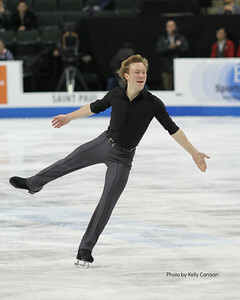 Ross Miner sets up for a jump in his short program in St. Paul. He finished 2nd in this portion of the event. 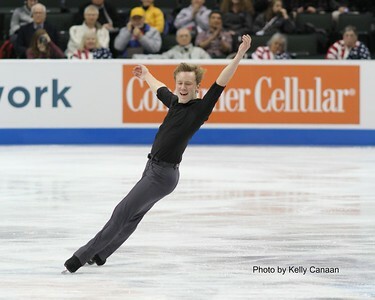 Ross Miner smiles as he performs a spread eagle in his short program at the 2016 US National championships.